St. Salvator's Chapel, where Robert Baillie's firm carried out work installing the beautiful tracery windows. 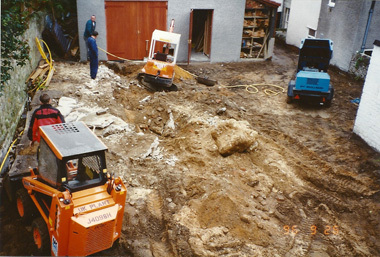 Keiron Baillie Joiners was established in St Andrews in 1993 with a grant from North East Fife Enterprise Trust. 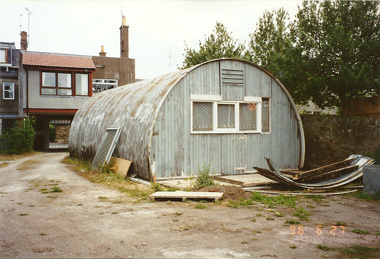 The business was set up in a Nissan hut in Keiron's late grandfather's yard at 64 Argyle Street. Keiron's grandfather, Robert N. Baillie, was a fifth-generation stone mason and master builder and many fine examples of his work can be seen around St Andrews and Fife. 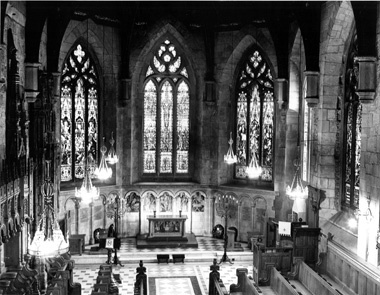 His firm, F. D. Baillie & Co., installed memorial tracery windows in St Salvators Chapel at St Andrews University, which were unveiled by Her Majesty the Queen Mother 1950. He met the Queen Mother again while carrying out restoration work at Culross Abbey three years later. The elegant shape of the windows of the University Chapel were chosen by Keiron as his company logo. 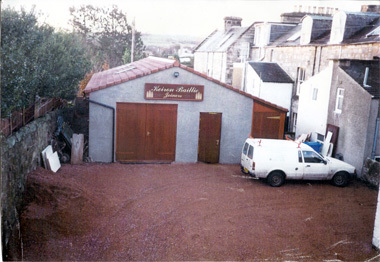 In 1996, Keiron upgraded his premises to a purpose built workshop in the yard at 64 Argyle Street, giving him scope for more machines and space to expand his business. 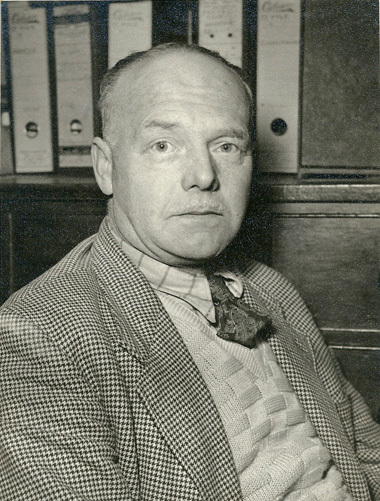 One of his early regular clients was St Andrews Links Trust. As well as work on the various starter's boxes, Keiron manufactured hardwood tee boxes for all of the courses, most of which are still in place today.